£30,000-plus for John Lennon Monkey bike? 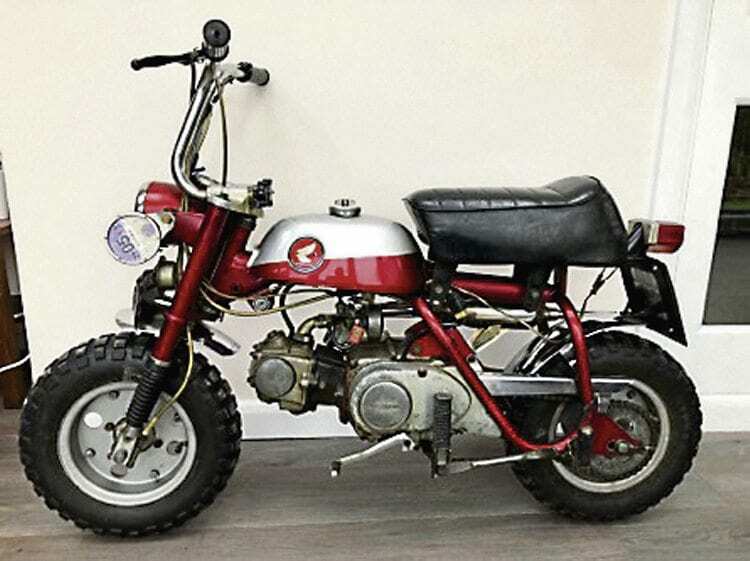 A Honda Z50A Monkey-Trail bike that once belonged to John Lennon will coming up for auction at the H&H Classics’ sale at the National Motorcycle Museum on March 4, and is estimated to sell for £30,000-plus. Lennon used the bike as an enjoyable way of getting around his Tittenhurst Park estate in Surrey, where he lived from 1969 until 1971. Once owned by Beatles star John Lennon, this Honda Z50A Monkey-Trail bike is being offered in H&H’s Motorcycle Sale coming up at the National Motorcycle Museum on March 4. Registered XUC 91H, the little bike was acquired by John Harington from Henry Graham of Hook, Hampshire, who owned a Motor Cycle City business in Farnborough around 1971 and bought the Z50A from the former Beatles star. Vendor John Harington has kept the bike for the past 47 years, showing it at various events.